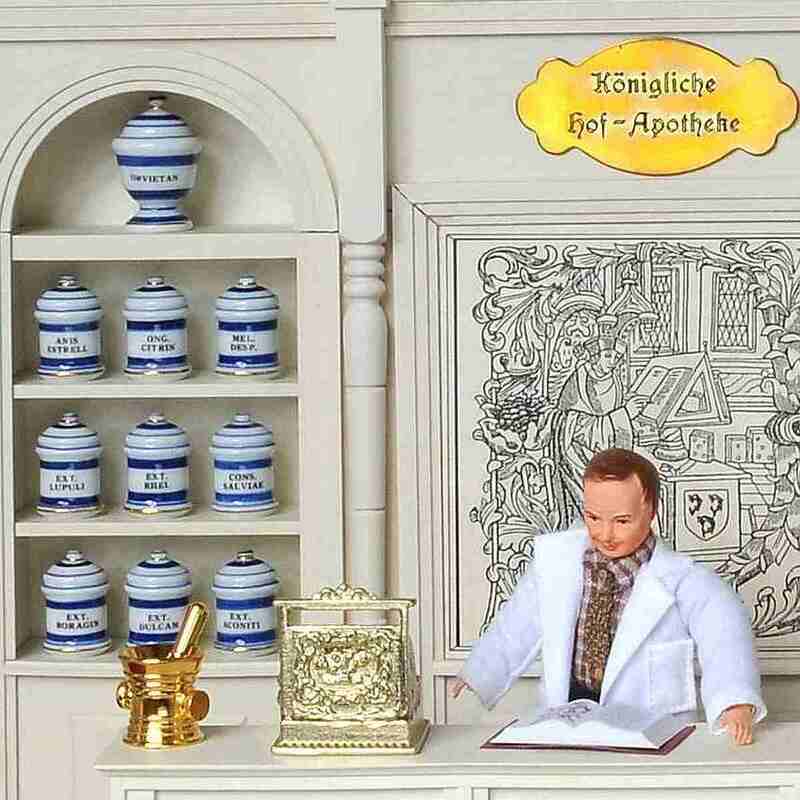 The pharmacy is completely furnished with a cash register, gold-plated scale and the authentically reproduced pharmacy pots made from genuine porcelain (see picture). The pharmacist is not included. In case you like to hire professional staff as well ... We can warmly recommend our two young pharmacists in white coats (45036 or 45037) or our elderly gentleman (46060) who might be interested to come in for a job interview.